The search for perfection leads to a mastery of the details. Never leaving anything to chance, Bragard creates collections that are both technically advanced and contemporary. Moulded by passion and creativity, they reflect the highly demanding nature of kitchen work in all its forms. Simplicity is the ultimate expression of elegance. It's in the Bragard DNA and chefs make no mistake about it. When they place their trust in us, they expect clothing that has been perfectly designed for their needs. With this exclusive line, designed in conjunction with the triple-starred chef, Alain Ducasse, Bragard creates a collection that is both chic and refined. Thanks to the use of innovative materials, the Alain Ducasse line by Bragard allows chefs to be elegant, no matter what the circumstances. 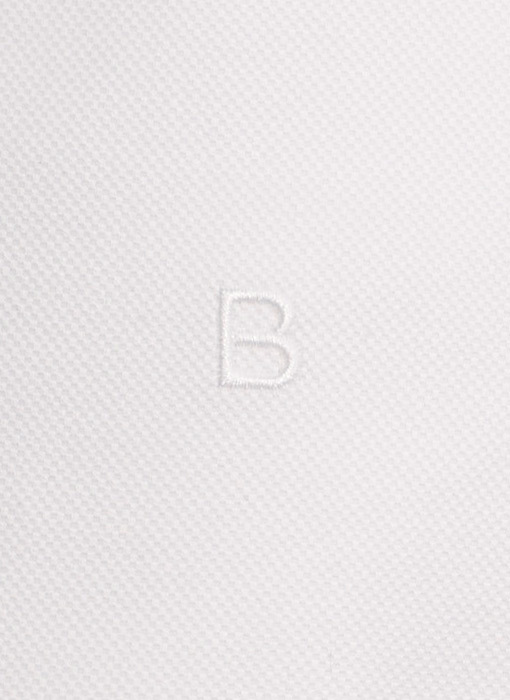 A symbol of this refinement in the kitchen, the MONACO chef jacket in pleated woven cotton gives nothing away. But behind its distinguished look hides an astonishingly complex technology! The Lady Pic chef jacket came out of a meeting between the triple-starred chef Anne-Sophie Pic and Bragard. She celebrates a generation of talented women who are unwilling to compromise on either femininity or technical requirements. With an ultra-resistant dual fabric design, the LADY PIC jacket celebrates the perfect balance between grace and technology. 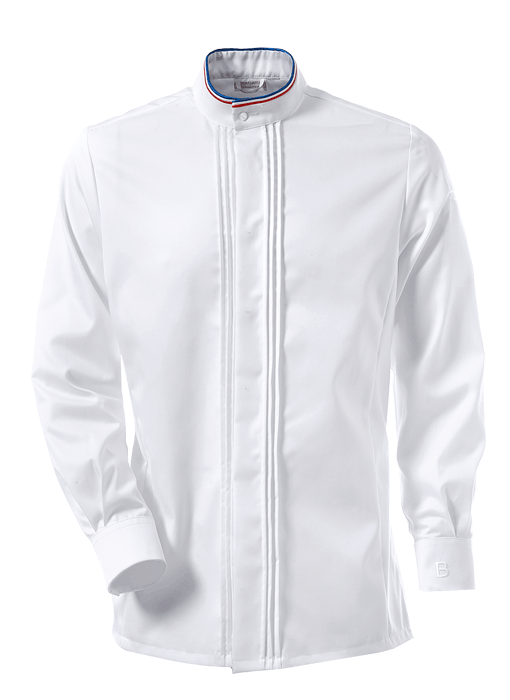 To feel at ease in a garment that is both comfortable and elegant is the sine qua non of impeccable service Bragard takes extreme care in its collections dedicated to the service trades. 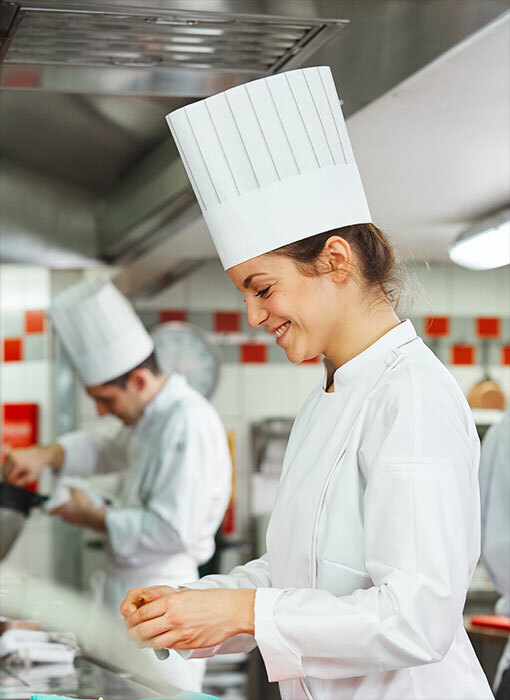 From the kitchen to the dining room, everything must contribute to the customer feeling unique and the chef feeling confident as he brings his creations to light. Wine stewards practice a highly precise and delicate art. With the master-steward, Fabrice Sommier, winner of the coveted Meilleur Ouvrier de France award for sommellerie in 2007, and Caroline Furtoss, Master-Steward, Bragard has created a refined line, specially dedicated to this prestigeous profession. Its advantages: top-of-the-line fabrics and ingenious finishing inspired by the requirements of the trade.